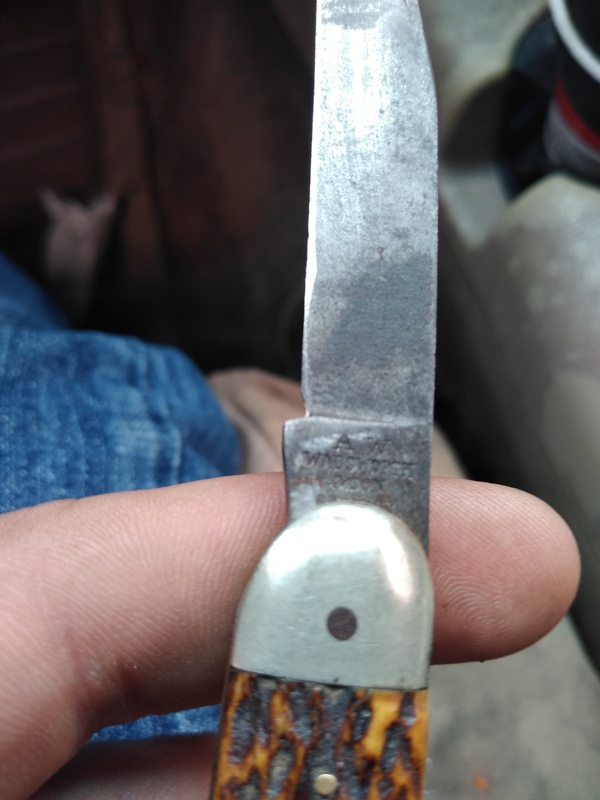 Old knife. Bout four inches long while closed. 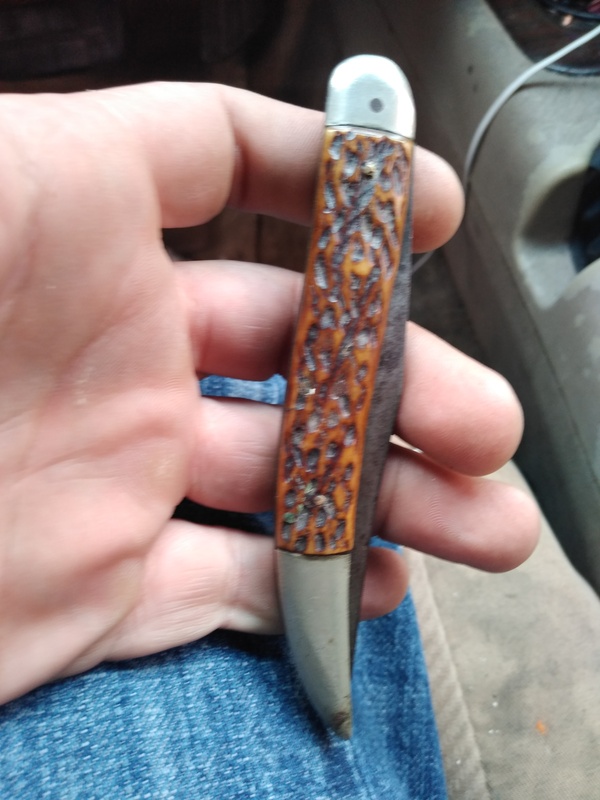 Says aw Wadsworth and Sons Germany handle looks bone or antler maybe. A W Wadsworth was a trademark used by A Kastor & Brothers, Germany & Austria. Various marks to tangs such as 'Austrian Cutlery Works Austria' and 'XLNT'. In business from 1905 - 1936. 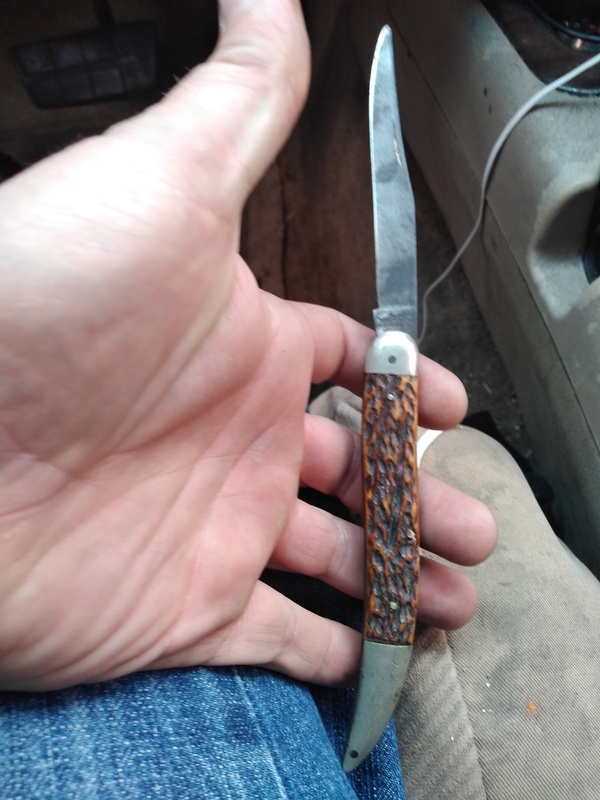 Nice little knife, we'd retail a comparable for about $50.00.